I have an unpopular opinion regarding Klyden, but I think it’s fairly spot on. I think Klyden is a great character. That’s not to say a LIKABLE character. Fan reaction in this group is proof enough of that. The reason I say he’s a great character is that he has caused an emotional response among fans, perhaps more so than any other character on the ship. Yes, he’s flawed. He’s incredibly biased and indoctrinated into the ways of his people. So do I like the guy? No way. But I think the show is richer because of him. I was just beginning to play D&D. It was the 90s, and AD&D 2nd edition had only been out a couple of years. My buddy Patrick Stutzman was running his homebrew game, which we called the Alliance (short for Trevor Interstellar Alliance). The Alliance game was a hodge-podge of sorts, drawing inspiration from many sources (GURPS, Star Wars, Star Trek, Babylon 5, and beyond). Our characters served first aboard a starship, then aboard a space station orbiting my character’s home planet, Hyrkul. Basically, the Alliance was the equivalent to Starfleet in Star Trek, with some differences. Hyrkul was a world of magic, and so the Alliance studied it from a scientific perspective. We fought dragons with lasers. Totally fun. Here we are, over 25 years later, and we have Starfinder. I would like to think that, had Starfinder existed back then, it would be our game of choice. I’ve been looking for a good science fantasy D&D-based system for a long time. I think I may have found it. And who knows, maybe someday we’ll have a reunion. I am assuming at this point that anyone who intended to see Star Wars: The Force Awakens has seen it by now. That being said, SPOILERS BELOW! The novel Vector Prime by RA Salvatore launched a new era in the Star Wars universe by launching the New Jedi Order story arc, wherein the galaxy is invaded by the Yuuzhan Vong, an alien species who used an advanced form of biotechnology. It was also a huge novel for doing the unthinkable, namely killing a classic Star Wars character, Chewbacca. Now Disney has relegated the entire Expanded Universe to now be part of the Legends label. Chewbacca’s death is no longer part of continuity. It was a huge milestone, of course. There was impact. The universe was a dangerous place, and Han’s character had to grow. In The Force Awakens, the opposite happens. Han Solo dies, leaving Chewbacca to carry on. Both scenarios focus on how best friends are torn apart by death, and how the other copes. While both scenarios for character growth are appealing, the death of Han Solo is more appealing to me. Here’s why. In the Legends timeline, Han Solo has always been a main character and will continue to be a main character. Chewbacca, on the other hand, was a supporting character. Chewbacca was largely defined by his friendship (and life debt) to Han Solo. For Chewbacca, now is the time to grow from being under the shadow of Han Solo (which sounds funny, considering how tall Chewie is!). What will he do now? How will his friendship with Rey develop? Is he now the owner of the Millenium Falcon? My hope is that Chewbacca grows as the movies continue. This is a great chance for the mighty wookiee to become more than Han’s sidekick. Now is the time for him to be a fully realized character on his own. Years ago, when I was first playing D&D, I went with a friend of mine over to play with a group that he played with. It was a large group, where it seemed that everyone had multiple characters they were playing at once. In retrospect, the whole situation was ridiculous. I was playing my second ever character in what would be, for me, a one-shot – and I was overwhelmed. My character was a halfling paladin, a prince of a land known as the Five Shires. It was about to be invaded by orcs, so as all good adventurers do, we abandoned the kingdom to go adventuring for something long lost that would save our kingdom. Huzzah! Unfortunately, I had to call the night short and never saw the finale. Something about that night stuck with me. The name of The Five Shires haunted me. Obviously, it was an homage to The Hobbit, which I read around the same time. After years of searching, I eventually found the module, and have now found it on DNDClassics.com. I recently saw The Hobbit: The Battle of the Five Armies, and my thoughts wandered once again to The Five Shires. Much has changed since I first began playing in 2nd edition. It’s 5th edition now, and there are new tools to use and new ideas to explore. For example, I’m toying with the idea of creating a halfling warlock with an infernal pact, then tying that concept in with blackflame. Blackflame, in short, is an odd sort of energy. It’s fire that deals cold damage, and burns ashes. I haven’t worked out the details yet. Likewise, I’m just jazzed about halflings in general right now. And not the genericized halflings of D&D. I’m talking about hobbits, their pastoral lifestyles, and hobbit holes. As I was looking at the history section of The Five Shires on DNDClassics.com, this section caught my eye. 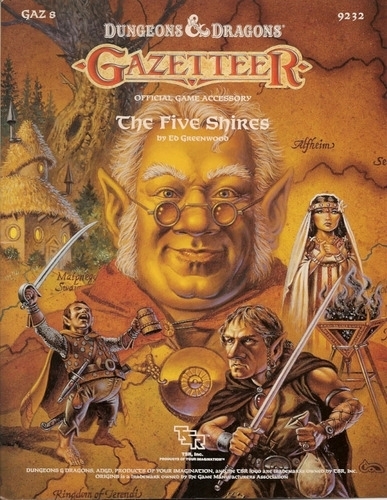 Needless to say my purchase of The Five Shires led to me getting the 2e and 3e versions of The Shining South so that way I could learn more about the halfling lands of Luiren. Where is this leading? I’m not quite sure yet. There are so many possibilities, and I want to explore them all! What I can tell you is that there is a lesson here worth learning. Even a product that is 27 years old can still inspire the imagination today. So take a look around and see what products from yesteryear might spark the old imagination today. He would never be a thug, for any illegal activity would mean immediate termination and criminal charges filed. He would not be allowed to sit out for just a few games; he would be sitting out for life, without pay. For that is not the way of our athlete. He would stand up for the little guy, and never suffer bullying. The athlete would be a hometown hero, not imported, and never manufactured. He would represent the best of his home town (and surrounding areas), in a spirit similar to the Olympics. He never uses performance-enhancing drugs, for he has earned his way through hard work and dedication. The ability to be an athlete is not based upon gender or the color of one’s skin, but on performance, hard work, dedication, and character. The athlete may strive to win, but winning isn’t everything to him. For he lives to meet the spirit of the game and to play with sportsmanlike behavior. This is my ideal for what the athlete should be. Like many things in life, ideals are often far from reality. Still, I believe that we should strive for those ideals. To all of you athletes out there who play with honor and who are good role models within your communities, I salute you. As many of you know, I’ve been working towards a better me. It began with walking. I started with the walking club at work. The guy in charge, Joey Little, got me started. He challenged me to do a mile. A mile? Was he crazy? I did it, though. My legs were on fire, but I did it. And Joey was there to push me along the way. He told me his story, and how he changed his life. I’ve been learning more lately through his blog – My #LiveAlittle Project. It’s his story to tell, and I don’t want to goof it up. Lately, the weirdest thing has happened to me. I’ve had people tell me that I’ve inspired them to walk, or to exercise. I wasn’t expecting this. I’m inspiring people? I’m still figuring this out myself. I don’t have the answers. What I’ve come to realize is that we all need some inspiration. It can come from anywhere, anyone. Maybe it’s a friend, a celebrity, or just some random person you met one day who said just the right thing. Look for inspiration, at home and in the world around you. Yesterday, I got to play another 13th Age game! Overall, a lot of fun. I’m still getting used to this new system. This was a new series of adventures. The game was held at The Basement Games and Hobbies. It took me a while to get there (stupid phone). The Basement, while big and spacious, has little product to sell. Two walls of stuff, from what I could see. A small RPG section, and what appeared to be more minis and board games. I’m not certain how the place is staying in business. Still, it was very friendly and welcoming, and we had plenty of room. I got to see a number of the same people, with a couple of new faces. Everyone was doing new characters (save me, who played the same character as last time). We were each given a magic item. I got eel skin boots that allowed me to disengage a bit easier. They were a gift from the Prince of Shadows, one of the icons of 13th Age. We were on the trail of the Black Sky (or was it Star) Diamond. This is a huge diamond that took four kobolds to lift. We went through a portal at one point, and we were on our way. One of the neat things about the game is that we had a storytelling element to the journey. One player starts out, tells a problem that the party had to solve along the way. The next player tells us how we solved it, then presents another problem. This continues until it gets to the final problem solved by the original player. We had a lot of fun with this. Most of the rest of the game was combat with kobolds, archers and dog riders. This time, I focused on getting those Battle Cries in. Basically, make an attack. If your attack meets the trigger, a bonus effect goes into place. I did so successfully, but I will say that it felt weird for a bard to do that instead of a warlord type of character. I much preferred focusing on songs like I did last time. I felt like I had a greater mastery over the character, though. All in all, it was fun. I think this particular adventure will be better once we get it going. Why do I want to get fit? I have been asked this a lot lately, as I have begun this journey of trying to make a healthier me. I should probably give some backstory. Earlier this year, there was a bit of re-branding that happened at my work. Everyone in my department was going to get a new T-shirt with the new logo on it, and they asked what all our sizes were. So I gave my size. There was nothing saying this was going to be a problem. I realize I’m a harder size to fit, but typically for things like this, it isn’t a problem. There was no shirt for me. I was very upset at the time. I spoke to my then-supervisor about it, but rather than empathize with my situation, he offered to be my life coach. I didn’t want a life coach. I wanted my shirt! I went over his head to the guy in charge of the shirts and asked about it. People were coming and going into the office, and my situation was no longer very private. Too many people learned my shirt size. It was a very embarrassing moment for me. I was embarrassed, mad. Eventually, I decided that this was no longer a battle worth fighting. At the same time, there was a walking club beginning at work. I got involved, and the guy behind it (Joey Little) was someone I could relate to. He said he was heavier than me, and is now down something like 120 pounds (which is amazing). He pushed me from day one to try to hit a mile when I walked. So that was my immediate goal. He’s been a great supporter ever since. It began as weight loss, so I could fit into smaller clothes. But as I got into it, I realized there was more to it. Weight may go, but muscle goes up in the meantime, meaning that I wouldn’t see steady weight loss. Plus, there are heart issues on both sides of my family. I’ll be lucky to make it out of life alive! Since I began, I have lost some fat around the face and I think the belly, and I feel better overall. I’ve had a lot of cheerleaders, far more than I ever expected. I thank you all. I’ve also had a lot of doubts. This is something I’m renowned for. I’m still trying to figure this all out. Where do I go from here? I’m not certain. Further, higher. Yet maybe it’s not the end destination that matters so much as the journey along the way. 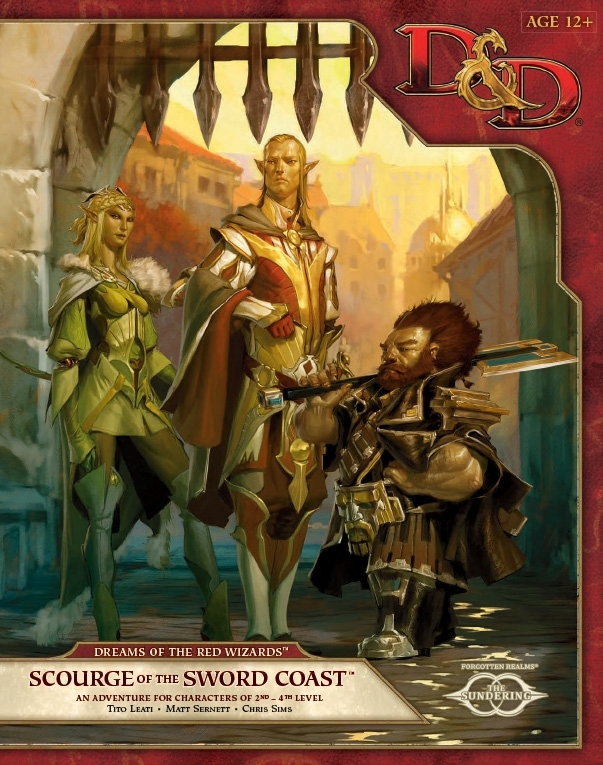 Yesterday, I played the first week of Dreams of the Red Wizards: Scourge of the Sword Coast, the current Encounters adventure. I have a particular interest in this adventure, as the first D&D game I ran was set in the town of Daggerford. It’s weird being a player in this setting. Still, I am grateful for all the attention Daggerford has had of late. I played the pregenerated halfling rogue. He had the sailor background. I figured I should base him somewhat on one of my favorite pirates, so I named him Saxton (Musical Blades reference). He wore a bowler and everything. He was a two-weapon fighter, having two short swords. He even got to kill a wolf by slamming those swords through its back, and adding the sneak attack ability. Sneak attack, btw, is SO much better in this edition. It’s a lot easier to understand and pull off. 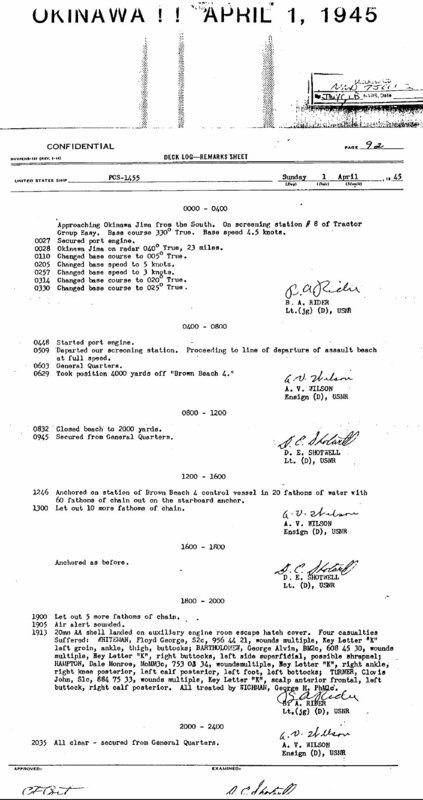 The adventure itself (thus far, as this is Encounters) was pretty standard fare. Fight some goblins and wolves, then address a group of refugees trying to enter Daggerford with the guards forbidding entry. Nothing too complicated, but I was impressed that one of the encounters was more of a role-playing encounter. MUCH better than I’ve previously seen with Encounters. Up until this point, Encounters felt like a bunch of tactical miniatures fights. Now, it began to feel like D&D. Props to WotC on that one. What was interesting to me was the group’s reaction to this system. The group was mostly high school kids, with the exception of one guy who appears to be older than me. The kids seem to have only known 4e, although I will give the DM props for studying up on prior editions. I thought the kids wouldn’t like this system, but I was wrong! In fact, they seemed to love it. They loved the quicker combats, and the simplicity of the rules. They were sold. For me, it feels like I’m finally coming home. This is the iteration of D&D I have been waiting for. It feels like AD&D. I can’t tell you how much I’ve missed that feeling. And yet, it has the basic d20 mechanics that I have come to love. It’s a nice blend. It even incorporated some elements from 4e that I liked (backgrounds!). I think I’m coming to like the proficiency bonus. It’s used to represent skill training (kind of like 4e), and has some of the feel of Castles & Crusades to it. The proficiency bonus can be used in attacks, as a skill bonus, or for certain class abilities (amongst other things). Reminds me a little of Castles & Crusades. There were a few questions on the rules and pre-gens at the table. What I found is that the other players were looking more at a mechanical side of things, rather than roleplaying. One person asked why the warlord wasn’t incorporated with the bard. I’ve heard that same thing before, as they both have the inspiring thing going, but I quickly reminded them that the warlord is more of a front-line fighter who yells things like “shake it off!” to boost his comrades. The players also seemed a bit baffled by the concept of subraces. Most have never known subraces. I have known nothing but. There was also some talk about how feats were optional. I told them this was a good thing, as it addressed different play styles. So, for example, I could have an old-school AD&D era friend play with a new-school d20 era friend in the same game, and both would be happy. The guy playing the paladin pre-gen was dumbfounded when he saw the minstrel background. Music and performance are the domains of the bard, right? And yet, here his paladin could do those things. It seemed so counter-intuitive to him. And yet, by game’s end, it became part of the plot, as he used that to affect the crowd at the entrance to Daggerford. I hope a light bulb went off with him on what could be done. Overall, I was very happy with the game and the system. It was kind of a back-to-basics feel. No, we didn’t have all the options of other game systems, like Pathfinder. But that was okay. Sometimes, those options can be a bit distracting. More options will undoubtedly come down the road. What we have before us is the foundation for a very good system. I hope my schedule allows me to play again.